The G245 is straight cutting snip. 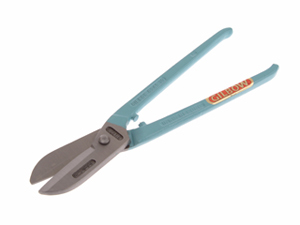 It has accurately ground edges that ensure the material being cut cannot slip out of the jaws. The jaw faces are hollow ground preserving the life of the cutting edge. As with all Gilbow products the joint is made with a nut and bolt design exclusive to Gilbow and essential in ensuring the longest possible life of the joint.